Inbuilt storage is ample at 64 GB and you can extend it by another 256GB using a microSD card. The Gionee S11 boots Android 7.1 Nougat with Amigo 5.0 UI. A 3410 mAh Li-Po battery is in the package to provide power to keep the light on. The smartphone promises decent runtime. It isn’t clear if this supports fast charging, though. 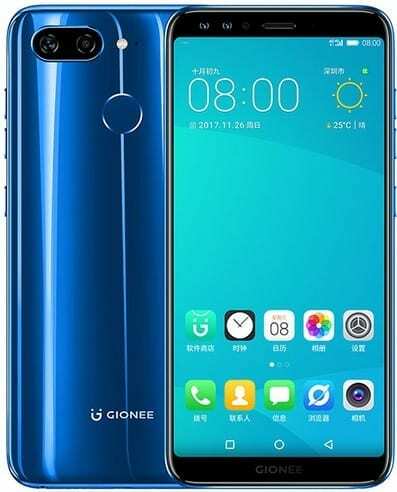 You get a rear-mounted fingerprint scanner for adding extra layer of security for your sensitive data on your Gionee S11. There is USB On-The-Go among the connectivity features. Gionee S11 is not yet available in Nigeria and Kenya. Gionee S11 Price in Nigeria is expected to range from 105,500 Naira to 170,000 Naira, depending on your location in the country. Price in Kenya is expected at around 30,850 KSh.